and I am Carrie’s new intern! Carrie and I have known each other for a long time, in fact, my dad was Carrie’s ag teacher and she showed my family’s miniature donkeys at the Dane County Fair. Carrie and I first got the chance to bond over our mutual love of horses. I would yell “horsey, horsey” out the window whenever my parents passed horses, which was quite often since we lived in the country. Carrie had a soft spot for me so she made me her date to the Midwest Horse Fair every year. 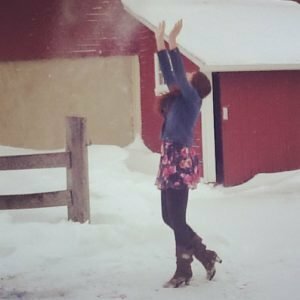 One life-changing day, Carrie told me that I was going to take a dairy heifer to fair that year, and the rest is history. She got me hooked on dairy and showing, and now… I’m more intrigued when I drive past cows than horses. 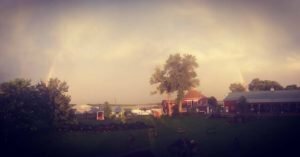 I grew up outside of Madison on my family’s agritourism farm, Schuster’s Farm. When I was young, I loved working with our animals, especially the goats and donkeys, and helping lead school tours. As I got older, I became a staple in our bakery, so much so that my fingers calloused from spinning thousands of caramel apples. On the farm, we have a corn maze, bakery, animal area, backyard play area, and lots of fun! My favorite part of our farm is being able to share a little piece of agriculture with others and helping others create family traditions. 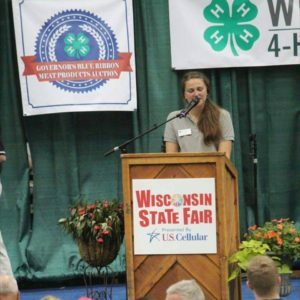 I was extremely involved in 4-H, serving as the youth president on the Wisconsin Leadership Council and leading agriscience workshops at the county and state level. My projects ranged from foods and nutrition to dairy to photography to exhibiting miniature donkeys. Last summer, I interned in Marathon County, Wisconsin at Marathon County Partnership for Progressive Agriculture. 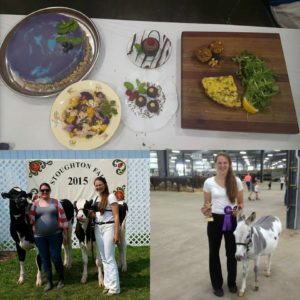 There I worked to educate, advocate, and promote agriculture by planning, coordinating, and running the entirety of the Ag Adventure Tent at the Wisconsin Valley Fair. 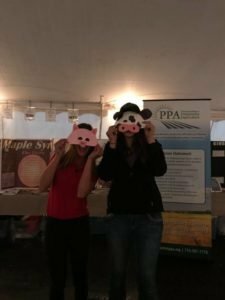 I worked to showcase all parts of Wisconsin agriculture in the displays and promote learning through games and activities. While I may have chosen to go out of state for school, I love all things Wisconsin including my Badger babe ;). I am a major cheese head. My friends at school have even gone to the extent of calling me a cheese snob, a title that I wear with pride. I am known to bring back bags of cheese curds and Wisconsin memorabilia whenever I come back from break and am never seen without my Wisconsin necklace around my neck. In a few short days, I am trading in my Carharts and the snow for a swimsuit and sand to study abroad in Brazil with AZP for six weeks. While I am there, I will be taking classes about the Brazilian agriculture and economy, touring different agricultural businesses and farms, and hopefully picking up some Portuguese along the way. Watch for some updates of my trip to the Southern Hemisphere! Once I return to the states, I will primarily be back in Wisconsin for the remainder of spring semester and summer, working with Carrie and doing some additional traveling. 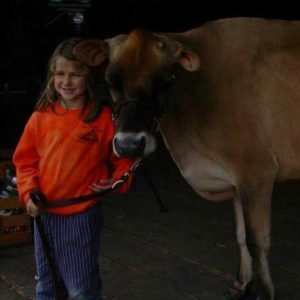 With Dairy Carrie, I will be doing primarily behind the scenes work but also look for my future posts! I look forward to sharing my experiences with you and learning through the process! « Gnocchi with Swiss Chard and Bacon in Parmesan Broth. 2 Comments on Dairy Carrie Gets an Intern! Love this. Can’t wait to read more. Good luck on your adventure. 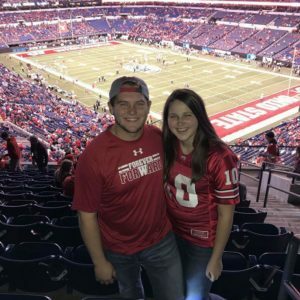 Welcome, from a fellow Buckeye!